Last week was noisy around here, at 3:30 am! Not really a time I enjoy being up, but I was! Hoots the owl was back and making so much noise. I would hear, “Hoot, Hoot” and then a “Squawk!” This was the second night in a row I heard the squawking, so I was afraid something was getting hurt. The squawking continued, so I decided I needed to investigate, not even thinking that it could have been a skunk, a raccoon or heaven knows what else, I grabbed my flashlight, put on my shoes and went outside. The Hoot/Squawk continued and I found the tree it was coming from. I took my flashlight and started shining it up in the tree. What a shock it is to see an owl’s eyes in the light of a flashlight! And they are really big at 3:30 am! But sitting next to the big owl was a little fluffy thing. I had found my squawker….a baby owl! They are like fluffy balls. 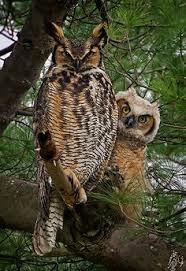 It was a great horned owl and her baby. The hoot, hoot, squawking continued as I stood under the tree. They weren’t even afraid of me shining my flashlight at them. By this time, Emmet was sitting in the window meowing quite loudly. I was afraid he would wake the neighbors and if anyone saw me in my p.j’s shining a light into a tree, they might think I was nuts! I turned off my flashlight and went back into the house. It was time to go back to bed and try and sleep! Now that I knew I didn’t have to save anything, I would be able to relax and get another hour of sleep, hopefully! Enough investigating for one night! I would like to acquaint you with the amazing lady, my Grandmother, who shared her love of nature with me. Gram taught me to appreciate all the creatures; great and small! She also instilled in me a gratitude for the environment around me. I loved spending time with her. I have always believed we were soul mates. When I was younger, we would take long walks in the fields behind her home and enjoy the sun, clouds, rain, whatever weather came our way! She taught me about the many plants that grew out in the fields, we especially loved finding wildflowers and my personal favorite; Japanese Lanterns. We also found some pretty interesting bugs and lots of grasshoppers! We would see mice and moles and she was never afraid of them. There were lots of bunnies and squirrels and we would sometimes take corn along for them, I was sure they knew her! The bird book and her gloves were always in her pocket on our walks, with a variety of birds to discover. There was a wood thrush that built a nest on our way up to the field and we would check on that family every time we walked. We never got too close because she didn’t want to scare them away. If a baby bird fell out of a nest, out came the gloves and she put the bird back. That was my Gram, she taught me to save the animals! Gram and I had a special park we would visit to catch frogs and look for crayfish. Springs Park was full of them and we had so much fun looking. I often wonder how many pairs of tennis shoes I ruined at that park sloshing around in the springs. 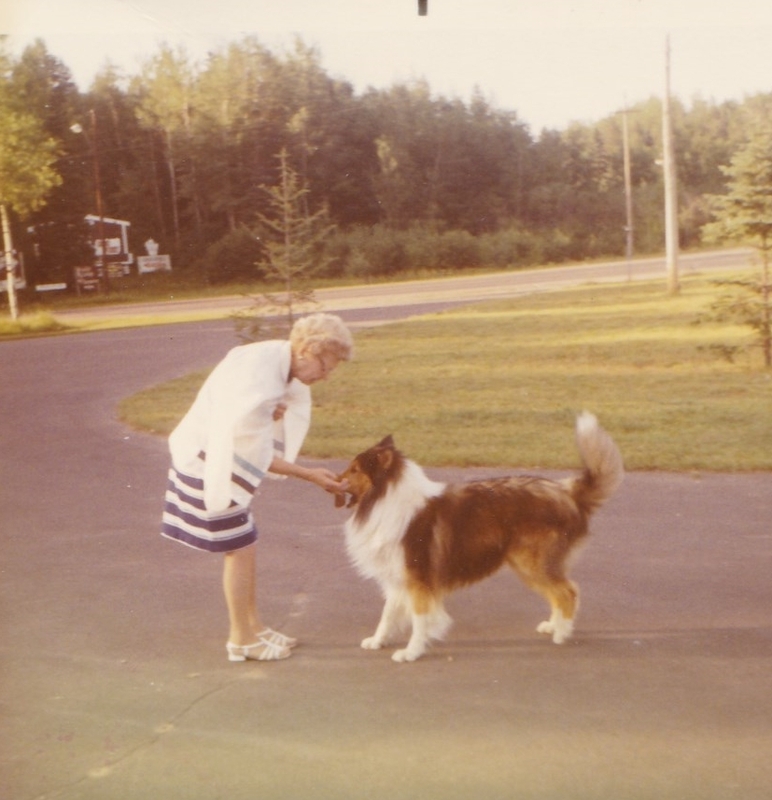 Every summer, my sister and I would go on vacation with my grandparents up north to Lac Du Flambeau. We had a special hotel we stayed at and there were always dogs who visited the guests! This picture is one of the many dogs that my grandma made friends with on our trips! One of the places we would visit was Jim Peck’s Wildwood. 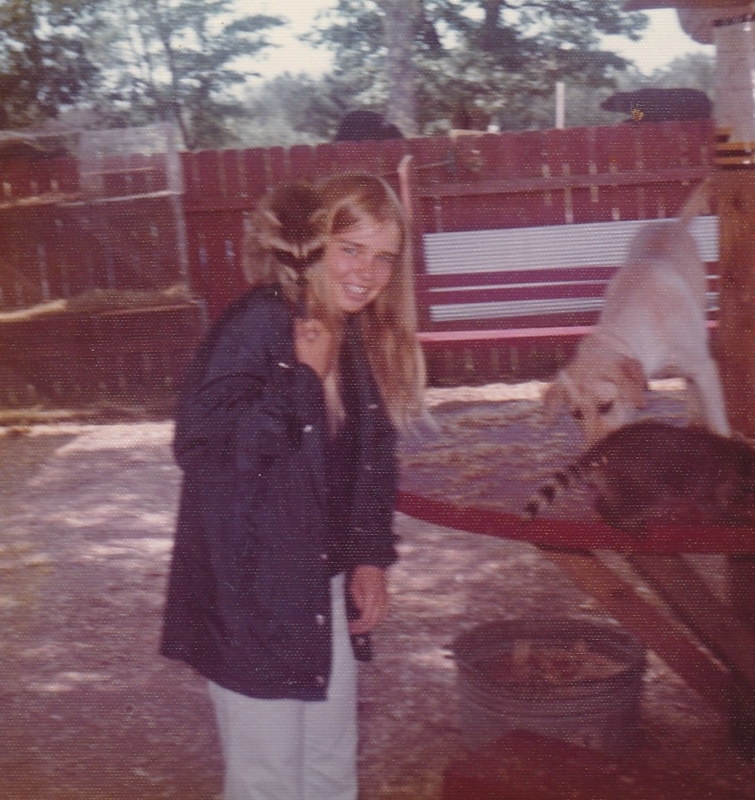 It was a wildlife utopia for a young girl like me. We fed baby raccoons, mink, opossums and even skunks. My favorites were the raccoons. They were so soft and loved to cuddle. Yes, my Grandmother was a very unique lady and I learned to love every creature no matter big or small, even green lizards. My parents weren’t sure what to do with me when I brought home white rats, but that is a story for another day. I hope that I can help my grandchildren learn to love and appreciate nature the way my Gram did for me. I always thank the Lord for giving me my Grandmother, she was a true gift! I loved her with all my heart! I am grateful for the mentorship and encouragement to blog by Artist/Photographer Karen Hanrahan. An awesome blog!!! Check it out! My grandson arrived the other day after putting my daughter and son in law through 27 hours of labor. He was a bit stubborn! His name is August Matthew, a strong manly name. I love his nickname…Auggie! He was 9 lbs. 5 oz. I went to meet him on Wednesday at the hospital and also to check on my daughter and son in law. It was an amazing adventure. I met my grandson. I love saying that….my grandson!! The feelings that I felt are a little hard to explain, but I will try. When I saw him I fell in love in an instant, but when I held him, the rush of emotions that washed over me were amazing, incredible and just plain WOW! This dear little being was my grandson. As I looked at him, with tears in my eyes, all I could think of was the moment the nurse put his mommy in my arms. There was an overpowering amount of love then, but this was different. I felt like my heart swelled up as large as it could. I looked up at my daughter and saw the love in her eyes and my love grew even more. 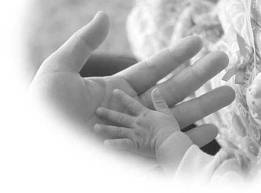 My precious gift, (my daughter), has given me the privilege of being a grandmother. That feeling just overtook me and I was completely overwhelmed. Tears just kept coming. 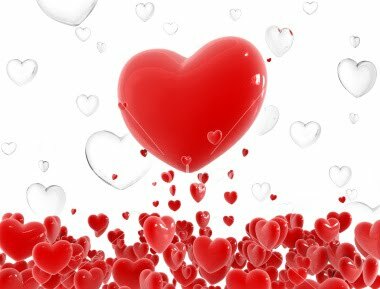 My heart was so full of love at that moment, I thought I would burst! Watching my daughter and son in law with him was so beautiful to see. I knew when I saw the way they held him and looked at him that they, too, were so drawn in to this tiny being. He was theirs. He was their son. It was such a miracle to witness my child adoring her child at the same time I was doing the exact same thing! This was truly one of the most beautiful moments in my life. I now know what my grandma meant when she used to tell me she loved me more than anything! And I know what she was thinking when she would see me and her face would light up, her smile so wide. 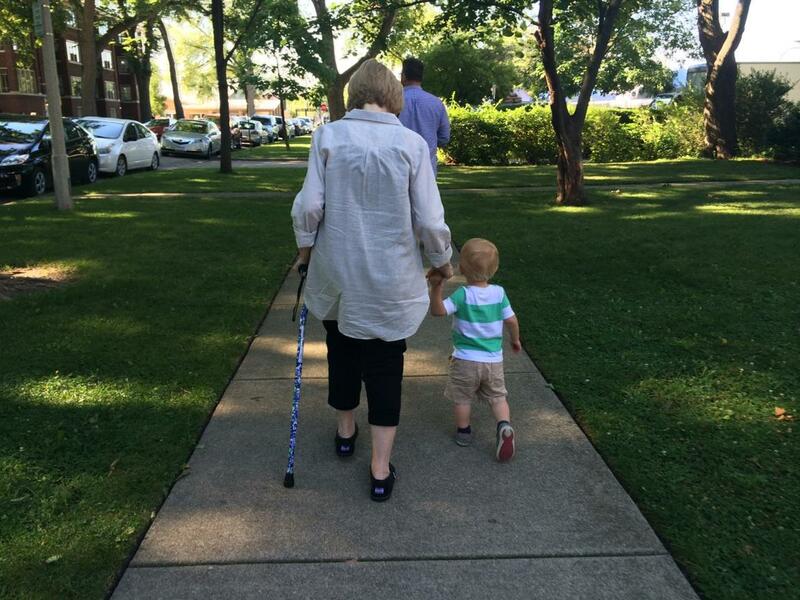 It is an amazing thing….being a grandma! I look forward to this new journey and all the adventures we will enjoy. I will be sharing more stories; I am sure, about my little Auggie! But, may I say; Welcome to the world little one! Your G rammy is totally over the moon whenever I think of you, look at your picture or hold your tiny hand in mine!